This latest release follows previous positive reports resulting from HMIC/S inspections. 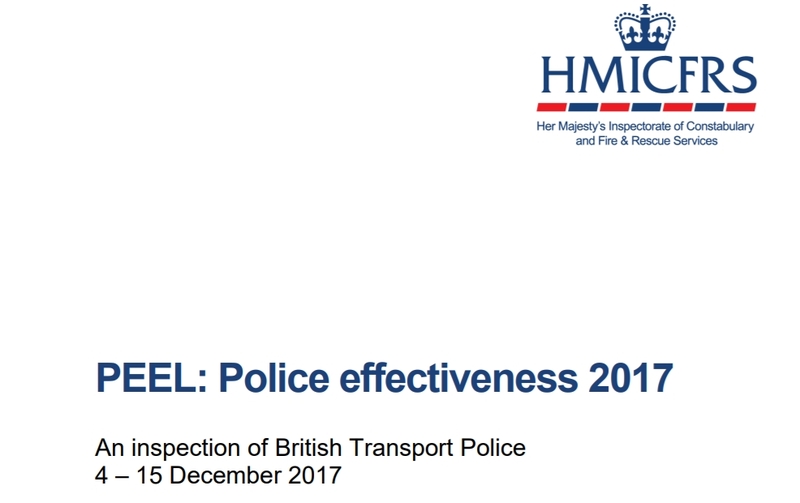 "That BTP compares favourably with some of the best-performing forces at keeping people safe and reducing crime is testament to our hard-working colleagues, who consistently go above and beyond to serve the travelling public. "The report recognises the shortage of detectives, which is an issue across England and Wales, and highlights some other areas for improvement, but our members continue to work extremely hard and make the best of the resources available to them. "We thank all police officers and staff from the BTP for your hard work in what was an extremely challenging year. You should feel proud of your achievements. "BTP has consistently received praise from HMIC and HMICS which makes the plans for integration in Scotland all the more concerning. The Scottish Government is seeking to break up an effective specialist national police service. In light of this report I would ask them to seriously reconsider their decision."